The greatest gift I ever had was you. DCT’s first English language single and first English language #1! 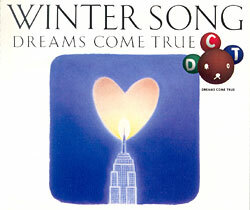 Winter Song was featured on the Japanese version of the soundtrack for Sleepless in Seattle. Winter Song is the English version of the previous released Yuki no Christmas. This single also has the first appearance of the 4-ball DCT logo.